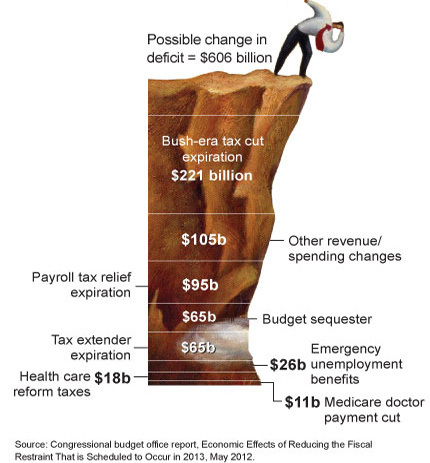 Many Democrats argue that Social Security does not contribute to the federal deficit (as it is funded through a separate payroll tax) and should not be part of the fiscal cliff negotiations. However, rising costs in Medicare and Medicaid are not part of the payroll tax funding. Progressives have argued for modernizing the system to reduce health care costs as opposed to cutting benefits. If an agreement is not reached by the end of the year, then the original budget deal including government spending cuts and tax increases will go into effect. However, Social Security, Medicare and Medicaid, and veterans benefits are all exempt from this deal. Republicans however insist that these programs must be part of the current negotiations.